TM Sound DJ’d my daughters bday party last night! They were great! Super accommodating, fun, and professional. They did everything we asked plus went above and beyond. We had such a great time with music, lights and games they provided! Totally recommend them for any event. Thank you guys so much!!! Extremely professional. Knows how to keep the crowd interested. Playlists are very appropriate. Both gentlemen seems to truly appreciate their job and enjoy making the crowd dance! 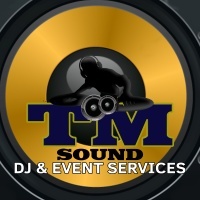 Our DJ's at TM Sound know how to get your guests on the dance floor and having fun.